The Anatomy and Physiology course is for students who do not have a recognised Level 3 qualification. It is compulsory for Tui Na Module 1, Thai Massage or Acupuncture. Our anatomy and physiology course can start before or after the Tui Na module, but you must have successfully completed one before receiving this diploma. Craig Thorn teaching Anatomy & Physiology - A&P. Teacher, Craig Thorn BSc (Hons) in Biology and a PGCE is a specialist in providing individual help in anatomy and physiology (A&P). 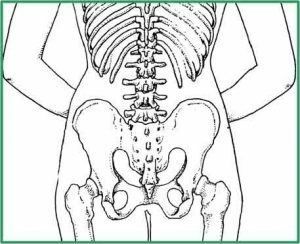 The Bodyharmonics Anatomy & Physiology (A&P) course places emphasis on the maintenance of balance and energy flow in the body’s systems & the musculo-skeletal system. 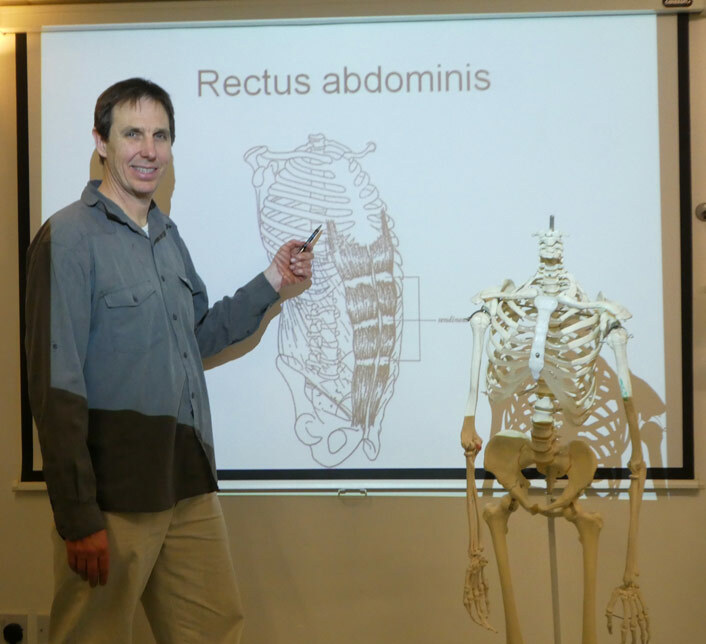 Our anatomy & physiology courses (A&P) are specifically structured to make them practical and relevant to the Tui Na & Acupuncture courses being taught. Cheap online A &P courses will not give you the vital hands-on experience that this course offers, enabling you to palpate the body to confidently detect pathologies of musculo-skeletal system. We have been teaching successful courses for many years. Over time we have fine- tuned our teaching methods to make them very effective in helping students become highly proficient health practitioners. The course is accredited by Acupuncture-Acutherapy Council (AcuC) and approved by Holistic Insurance which leads to full insurance with either Tui Na, Thai massage or acupuncture. Functional aspects of tissues of the musculo-skeletal system. Functions of the skeleton. Position, articulations and names of the principal bones. Structure and classification of joints. Position, origin, insertion and names of principal muscles. Musculature in relation to meridians and Qi-points. Gross features of brain, spinal cord, peripheral and autonomic nervous systems. Innervation of skeletal muscle. Co-ordination, tone and balance, Sense organs of the muscles, tendons and skin. Hormones and their role in the body. Sources of water. The role of water in metabolism. Osmoregulation. The role of water in excretion and elimination. Food as fuel and raw material. Digestion as the process that makes food molecules absorbable. Liver function and assimilation.